About Bajra: The pearl Millet is referred as Bajra (Hindi), Bajru (Kashmiri), Kambu (Tamil. It is available in whole grain or flour form. Health Value: Good source of magnesium and phosphorus, lowers cholesterol levels, maintains heart health, reduces risk of diabetes, prevents gallstones, and reduces severity of asthma. Mix the flours, cumin seeds, turmeric powder, salt to make the dough with enough water. 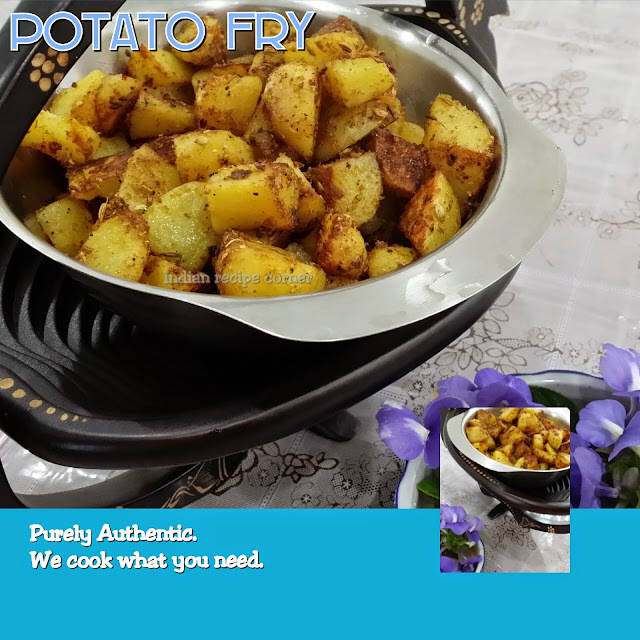 Adding potato starch enhances the soft nature of chapathi for longer hours. Keep the dough to settle for half an hour. The dough should be soft and nonsticky. Kneed it and cook in pan on high flame. Apply ghee or coconut oil for a good aroma. 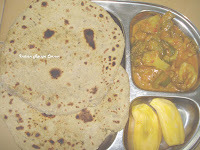 The method is similar to that of jowar chapathi. But the difference lies in taste. It goes with all sorts of gravy. I tried brocoli gravy as displayed.